Giordano Greco (Magneti Marelli) participated at the 8th International Conference on Advanced Suspensions Systems (8-10 March in Mainz, Germany). 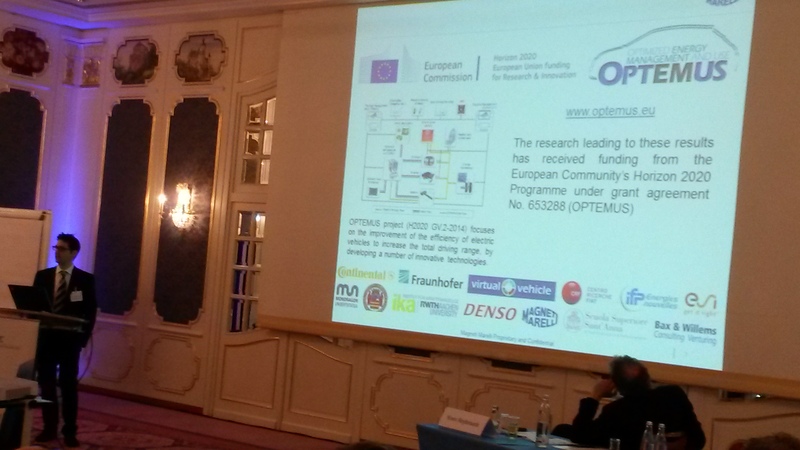 He presented the paper “An efficient architecture for a hydraulic regenerative shock absorber” and explicitly mentioned the OPTEMUS project as the context in which this research activity has been carried out. The development of regenerative dampers is one of the main themes within Marelli’s innovation roadmap for the design of advanced and sustainable dampers.